Ryan Babel has recently completed his move to Besiktas as he penned a 2 and a half year long contract with the Turkish club. The 30 year old player will be earning €2.1 million each year for the upcoming 2 years which is a huge amount of money for a player that has struggled trying stay in a club for more than 2 seasons as Babel is usually either fired due to disciplinary issues or he simply fails to get consistent playing time. 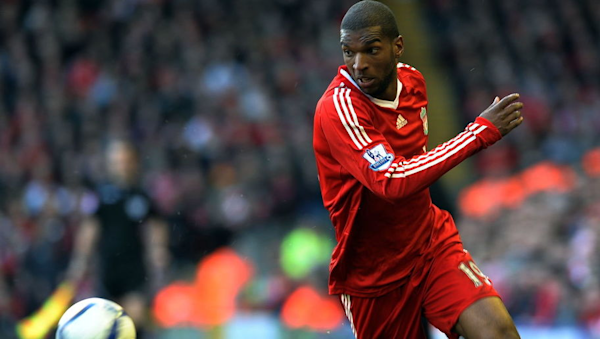 Former Liverpool striker Ryan Babel has scored an amazing solo effort for new club Besiktas. The former Dutch international agreed to a move to Turkey on a two and a half year deal on New Year’s Eve. The 30-year old player was reported would earn about £1million for his effort for the rest of the season before the figures rises to £1.8 million in annual wages for the next two years. Babel started the current season in Spain, playing for Deportivo La Coruna after he moved to the club on free transfer. He decided to return to Turkey – a country he spent two years playing for Kasimpasa before he exited the outfit in 2015. 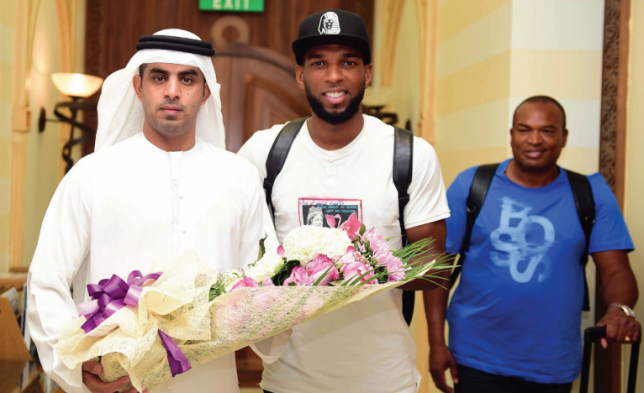 Former Liverpool winger Ryan Babel has announced his exit from Deportivo La Coruna by saying that he wants to spend more time with his family. The Dutchman has become somewhat of a journeyman since leaving Liverpool a few years ago. He played for the likes of 1899 Hoffenheim, Ajax,Kasımpaşa, and Al Ain. His failure to establish himself at a single major club has been the biggest problem in his career. At 30 years of age, he is fast running out of time when it comes to the top level of the game. He was once seen as one of the promising youngsters and it prompted Liverpool to pay £ 9 million for his signature in 2007. Ryan Babel is one of those players that at an early age he was highly expected to make an impact in the world of football. At the age of 17, Babel made his debut in the first-team of Ajax and Liverpool even opted to splash out £14 million for him on 2007. The Dutch player spent 4 seasons in the Premier League outfit where he consistently managed to make over 25 appearances in almost every single season but most of the time, his presence just wasn’t really felt and despite having made a fairly large amount of appearances, it was not a memorable period of time and the Dutch player later got into some problems as he got fined due to Babel’s usage with his social media platforms. With Swansea’s Leroy Fer, there is no single dull moment. The player is a good dancer and singer, and has gained popularity for his efforts. During the club’s pre season tour in the United States, he performed Drake’s Controlla at the hotel for his teammates. “A solid eight,” the player said he would rank score himself for the show. The footage has not been released to the public but the rendition would definitely be top notch going by his past performances. Fer was married to a lady – Xenia – two years ago. During their wedding, they put up an amazing dance routine that went viral on YouTube and social media. The 26-year old made headlines in Holland when he partook in a rap duel with Vurnon Anita – a Newcastle Ajax player. “We both love music, he’s really into rapping, he’s got his own studio, so we made one track with Ryan Babel [former Liverpool forward] and another football player in Holland, Michell Burgzorg – he’s a good rapper. That song went big as well,” Fer added. Atletico Madrid rested some players ahead of the Wednesday Champions League clash with German side Bayern Munich. The La Liga side seem to have found their mojo again. Diego Simeone has been sterling since taking over at the Madrid-based outfit. Despite two disappointing Champions League finals result against Real, they seem to be ready to have another go at the title this season. Simeone thought it wise to rest some players, and save some firepower for the German machines. Atletico scored nine goals when they recently met Celta Vigo and Sporting Gijon. In the UCL, they thrashed PSV Eindhoven 1-0, and played a 1-1 draw with Barcelona. They are quite difficult to stop when they are in this form, and Simeone doesn’t want fatigue to be in the way of the players’ performance when they face Bayern in the Champions League. Atletico played Deportivo in the La Liga on Sunday, leaving out star players Stefan Savic and Saul Niguez. Others like Kevin Gameiro and Gabi and started from the bench, while the others played so the game is not thrown away. Bayern have won six game in six matched in the Bundesliga this term, and have already registered a five-star performance in the 5-0 routing of an opposition in the Champions League. Godin would have to ready mentally and physically to stop Robert Lewandowski. Savic and Gimenez would have to be ready for Bayern, as the attacks from Deportivo – who are already missing Lucas Perez, and whose replacements Joselu and Ryan Babel are nothing compared to the Germans – seem to rarely startle them. Captain Gabi would need to bring his leadership skills to the fore when they play one of their biggest games yet this season. Atletico defeated Deportivo 1-0 but might not be that lucky against Bayern. Liverpool started off on a great note when they scored four goals against Arsenal within 18 minutes. They defeated the Gunners 4-3, even though the score-line doesn’t reflect the true happenings in the game. They conceded two cheap avoidable goals but endeared fans with their sterling attack. However, new signing Georginio Wijnaldum didn’t impress fans as much. Wijnaldum was named in the starting XI but the Dutchman didn’t do as much on his debut. Reds players Philippe Coutinho and Sadio Mane were the creative forces during the game, eclipsing other players. Wijnaldum didn’t show the dominant display that was expected from the former Newcastle United ma. He was signed following the relegation of Newcastle to the English Championship. A section of fans and supporters thought the transfer fee high following his inconsistency in the last campaign. He joined for £25 million, and many thought Jurgen Klopp could have negotiated the player a little less considering he was enthused with the chance to return to top flight football. Wijnaldum was the highest goal scorer for United last season, netting 11 times but the goals were not enough to save the struggling side. He played 88 minutes in his debut, scoring just one goal but in the wrong net. Wijnaldum deflected a goal to his own net, upsetting fans that already wanted more from him. Before the deal, some fans and analysts were weary despite his record in the Dutch Eredivisie. 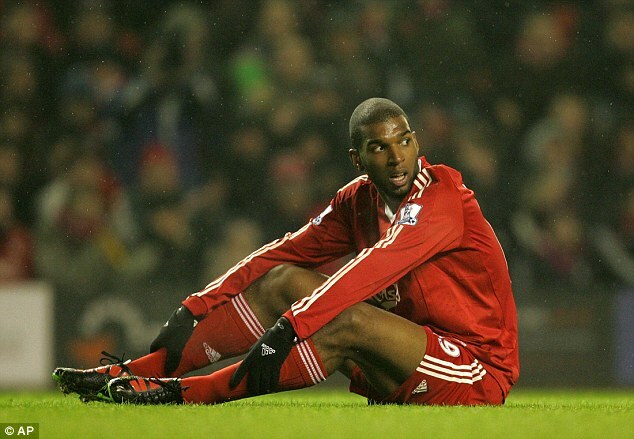 A popular parlance in the attack of his transfer was “for every Luis Suarez that scored in Holland, there was a Ryan Babel.” Ryan Babel is a former Liverpool signing that went wrong despite his decent run in Holland while Suarez turned to be a prolific striker at Anfield, partnering well with Daniel Sturridge and making huge return with his transfer from the club. there is still time but Wijnaldum would need to show his potential quick.